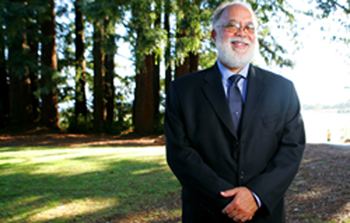 John Rickford graduated from UCSC (Stevenson College) in 1971, going on to become one of the most distinguished sociolinguists of his generation and spending most of his career at Stanford University. to provide new academic opportunities for undergraduate students in the Linguistics and Language Studies majors whose academic performance is distinguished and who have made contributions to the Department's life and sense of community. Your support to this fund will help to pay for undergraduate research projects, travel for undergraduates who have been accepted to research conferences, undergraduate linguistics club activities. Please specify on your check that it is a contribution to the John Rickford Undergraduate Development Fund. Thank you for supporting the undergraduate students in Linguistics!